Loadtronic 3 is a dynamic weighing system for excavators. The load in the bucket is weighed during normal lifting cycle. The weighing can be started automatically or manually. The display will show the weight currently in the bucket, and the running total. Also, the number of buckets delivered is shown. The weighing system can be used as a tool toavoid over- and underloading of trucks. All loadings are stored in the main unit and can be retrieved either for printing a receipt or for transfer to PC (USB stick/ SMS). Databases of customers, materials etc. can be transferred between the office PC and the Loadtronic 3E system (using USB stick). The files can be viewed and edited in MS Office Excel or Notepad. Loadtronic 3E has a backup and restore function for calibrated attachments, event logs, and lists of customers, material, trucks etc. An SMS load receipt can be sent to the office as soon as the load is delivered to the truck. After a few seconds the information in the SMS message is displayed as a new line in PCLink SMS office program. Data from the Loadtronic 3/ 3E systems (load lists, database lists, attachments, calibration data etc.) can be converted into ASCII text files for export to e.g. MS Office Excel for further handling: invoicing, stocking etc. PC-Link SMS is a PC program that can receive load receipts from Loadtronic 3/3E systems, and that can send database lists. Loads are displayed seconds after delivery to truck. 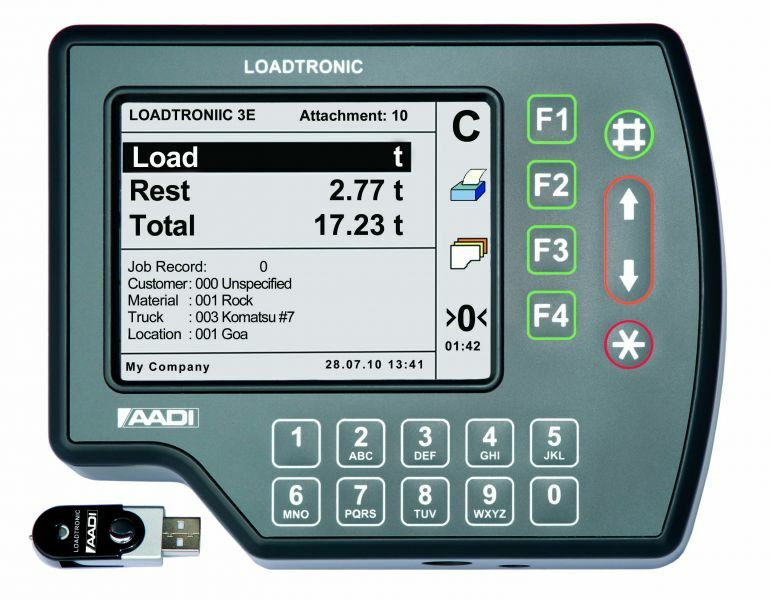 Each Loadtronic 3/ 3E system are separated by their ID-numbers.